You will be spoilt for choice for hiking in the Mountains! 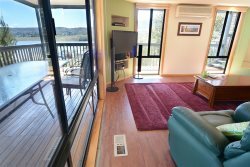 From Lakeside strolls from your Jindabyne accommodation to the big one! Climb Australia’s Highest Peak and anywhere in between you will not be disappointed in choosing to get a little exercise and see some amasing scenery along the way. Jindabyne has a number of trails to get you started. The easiest is to start at Banjo Patterson Park right in the center of Jindabyne, and walk the shared path along the foreshore for 5klms. You will pass some art works that remain from the Easter Lakelight Sculpture Exhibition. Watch out for trout rising in the early morning and at sunset. Some great viewing areas of Lake Jindabyne and look over where the “Old Jindabyne” once was now under 30 metres of water. Try the Tyrolean Village Shared Trail for a little bit harder workout but still stunning views.This trail extends over the "Dam Wall" for 10 klms and winds up and down moderate hills. All with sensational views over the Lake and Mountains. creek. The Sawpit Track climbs back up to the Kosciuszko Mountain Retreat (cabins/camping area). Walk through this complex to return to the picnic area. Waterfall Track— 6km round trip— This track starts at the Sawpit Creek picnic area and passes through the culvert under the road. It runs roughly parallel to Sawpit Creek until it crosses the creek at a cascade or small waterfall. The tall trees with fibrous bark growing near the falls are alpine ash. Alpine ash was logged in this area late last century. On the return, the track passes between huge granite boulders before returning to the picnic area. Rainbow Lake Walk— 3km return— The track begins at a gate on the left side of the road towards Perisher from Sawpit Creek,1.5km past Sponar’s Chalet. Parking is available opposite the gate or 400m further on at Dainer’s Gap. The track winds through snowgrass and snow gums to Rainbow Lake. The lake is a dam which was constructed to supply water to the Hotel Kosciusko. Sponar’s Chalet was the staff quarters for the hotel and became the main accommodation building when the Hotel Kosciusko burnt down in 1951. The old fences near a large boulder just before you descend to the lake are a legacy of the grazing era. Porcupine Track— 5km return— This track starts at the Perisher Valley reservoir. To reach the start of the track turn left beside the Man from Snowy River Hotel and take the right branches of the road. The snowpoles mark cross-country ski trails. Except where they follow the walking track, these poles should not be followed by walkers because loss 4 vegetation and the development of worn pathways will cause erosion. Because the ground in this area is often wet, some sections of the track are constructed from raised metal mesh. The track wanders through snow grass, snow gums and small shrubs until a large group of granite boulders is reached. These boulders provide an extensive view of the Main Range and Thredbo Valley. Main Range Track— 12.5km one-way— After crossing the Snowy River below Charlotte’s Pass, the track climbs through alpine herbfields past Hedley Tarn Lookout to Blue Lake Lookout. It then climbs Carruther’s Peak that provides spectacular views to the west. It continues along the exposed ridge of the Main Range above Club Lake and Lake Albina until it meets the Summit Walk between Rawson’s Pass and Mt Kosciuszko’s summit. Summit Walk— 4.5km one-way— Seaman’s Hut 6km one-way • Rawson’s Pass 8km one-way • Mt Kosciuszko 9km one-way. This walk follows the old road to Mt Kosciuszko. In 1976 the NPWS closed the road to public vehicles at Charlotte’s Pass because of safety concerns, environmental problems and lack of parking. The walk passes through snow gums, heath and herbfields and provides extensive views of the Main Range and Snowy River. After crossing the Snowy River the track climbs gradually to Seaman’s Hut, Rawson’s Pass and Mt Kosciuszko’s summit. Thredbo has a host of summer walks. From guided and self guided there is something for every level. The high country can be an extremely beautiful place but it can also be challenging with regard to our weather conditions. 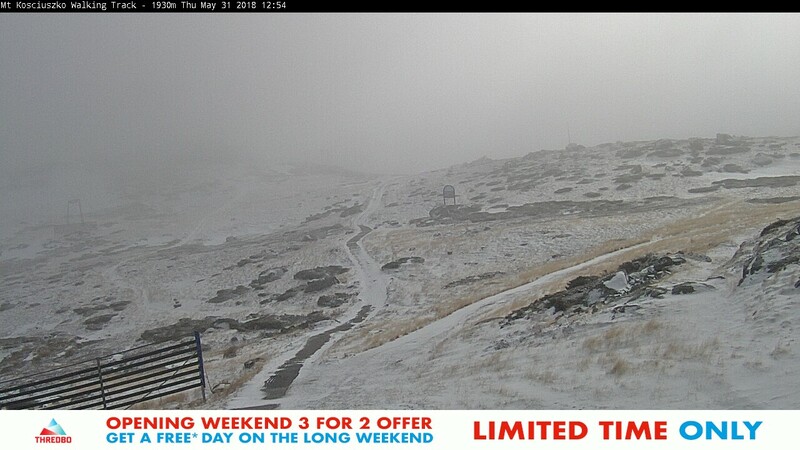 Mountain weather can change quickly from sun and heat to snow and rain in a few minutes. If going overnight tell someone your expected route and return time. It is advisable to take a GPS location devise & EPIRB emergency beacon if traveling away from the main trails. If going on a day hike take a change of clothing. If it is hot & sunny when you first take off make sure you have the opposite clothing in your day pack i.e wearing shorts? take long pants..wearing t-shirts? take a jumper....Pack for all conditions! Always take water and a light snack with you. Take a hat, sunscreen and insect repellent. The fly's in the mountains are big!! Wear sensible shoes. Thongs are OK for the beach not a 15 klm hike. Know where you are going and how long it will take to return. Take a camera for those great shots of you being a true" Mountain Man or Women".